Cringle is the award-winning solution for users who want to send money to friends all over Europe in a matter of seconds – simple, secure and free of charge. Cringle is the intuitive smartphone app for users who want to send money to friends all over Europe in a matter of seconds. By cooperating with your principal bank, the app guarantees your bank’s normal high security standards. Cringle has received numerous awards and has found a partner in Germany's foremost direct bank, the Deutsche Kreditbank AG (DKB). 50% of people wish their bank offered a solution to transfer money quickly and simply via smartphones. We experienced this issue after a football match with friends: we wanted to toast our victory and one person got the drinks in for the entire team. Even though we could have rented a car or an apartment in a foreign country with our phones, we couldn't simply send each other the small amount of money we owed. Instead, some of us decided to look for the exact amounts in our wallets, while others took our friend's account details and promised to transfer the amount at home. The Cringle app is a contemporary solution to simplify this awkward procedure. Cringle makes sending or receiving money the simplest and quickest alternative. Thanks to Cringle, you can send money to or request money from all your friends, as long as they have a European cell phone number - and all in a matter of seconds. We have been perfecting our app for more than a year and developed a payment system with DKB that not only meets the regular security standards of banks but is also accessible to all banks in Europe. Every day, 858 million euros exchange hands between private individuals in Europe. In Germany, 82% of these so-called P2P payments (peer-to-peer) use cash. We asked ourselves: why cash? Debit and credit cards are common and accepted payment methods in retail. Unfortunately, such simple solutions for payments between individuals do not exist yet. And this is where Cringle comes in: We provide our users with the possibility to send money via their smartphone - simple, secure and free of charge. Our company was recently awarded the “Best Payment Service Provider 2016” prize and also named “Best Fintech Start-Up Of The Year 2016”. Last year, our cooperation model was awarded first place in the customer innovation awards of the German Institute for Service Quality (Deutsches Institut für Servicequalität). Our remarkable business development is reflected, in particular, by our transaction volume, which is currently at EUR 900,000. In the last quarter alone, we registered a 30% increase in our transaction volume. As another major bank has decided to offer our services this year, and we are currently developing the attractive Austrian market, our growth will further accelerate in the near future. Business people, in addition to private individuals, will also be able to benefit from Cringle soon. They will be able to use a business version of our app with which to accept cashless payments without the need for additional hardware. Thanks to the Cringle smartphone app, you can send money to or request money from all your friends, as long as they have a European cell phone number - and all in a matter of seconds. It is as simple as sending a text message, is completely free of charge and requires no online banking TAN or PIN. Cringle cooperates with the DKB (Deutsche Kreditbank), Germany's foremost direct bank, measured by number of checking accounts. This cooperation agreement does not only mean that we have a trustworthy partner but also that Cringle transactions can guarantee the same level of security that users are familiar with from their principal banks. Cringle is already available to private individuals with German checking accounts - no matter who their principal bank is. In our everyday lives, we often need to send our friends money as quickly and simply as possible. Do you still owe a friend money for a group gift? Thanks to Cringle, you can pay your share in a couple of seconds and recipients no longer need to keep reminders all over the place. Have you spent the last few days trying to get back the money you forwarded for those movie tickets? Thanks to Cringle, you can request the outstanding amount directly and save yourself a lot of time and hassle. Thanks to Cringle, friends no longer have to exchange account details via WhatsApp, email or Facebook. Simply choose your contact from your smartphone's address book, enter the correct amount and confirm the transaction with your chosen PIN or fingerprint. And the best thing is that we will inform you about the transaction in real time and that the financial transactions occur directly between the users' checking accounts. In other words: Thanks to Cringle, you don't need to open a new account that you have to remember to top up. Signing up for Cringle is quick and simple - and the app even provides an overview off all previous transactions. This means that you will always be on top of all your transaction. If we send our friends money, it usually means that we had some form of social interaction with them. Cash and bank transfers, however, do not do justice to the social aspect of payments among friends. That is why we also implemented a chat function in Cringle. Our user statistics show that every transaction normally goes hand in hand with two chat messages. Additional functions, such as sharing photos and geo locations, will further promote interaction between users. Thanks to Cringle, we can emphasize the social aspect of P2P payments and force the boring transaction procedure to fade into the background. Cringle also provides our partner banks with a strategic added value. Many German banks have not yet moved into the digital age and consider partnerships with Fintech companies the ideal opportunity to quickly satisfy their customers' digital needs. Our business model is based on the traditional licensing model that is both a common and accepted approach between banks and external service providers. For a monthly membership fee, banks who use the app receive a personal version of the Cringle app, access to our development interface (API) and numerous interesting benefits for their customers. The membership fee entails a five-digit set-up fee, a four-digit monthly basic fee and a variable fee per active user of less than one euro. The membership fee will be individually negotiated with each partner and is not subject to a price catalogue. Cringle will also be implemented as a mobile payment solution for small- and medium-sized businesses in the future. In the case of commercial transactions, we will charge a transaction fee of approximately 1.5% - reminiscent of credit card payments. The decisive key to our success, and also what sets Cringle apart from other providers, is the cooperation with banks. This enables us to introduce our innovative smartphone app, which not only boasts the common security standards of principal banks but also promotes the banks' innovation and digitalization, to European banks. Consumers will benefit from modern payment options that are just as reliable and secure as through their principal banks. We developed an own payment infrastructure in cooperation with the banks that connects the users' checking accounts with the cell phone number. In comparison to other providers, Cringle users do not need to need to open a virtual account or ensure that their virtual account has sufficient funds. Furthermore, our payment infrastructure makes it possible to execute transactions without entering sensitive data such as PINs or TANs. Our payment infrastructure is based on the long-established direct debit method. Cringle can be used, in comparison to our competitors who use virtual accounts or even credit cards, with any European checking account. Direct debit makes pan-European dissemination possible and does not require any kind of technical adjustment. Groups of friends are, in many respect, diverse. They have different smartphones, accounts with different banks and many of them probably haven't installed Cringle yet. That is why it is very important to us that our users can execute their transactions completely independent of the aforementioned factors. With Cringle, we have developed a solution with which you can send money to any cell phone number. The bank, type of smartphone or whether or not Cringle has been installed is completely irrelevant for the recipient. If the recipient has not yet signed up, Cringle sends a text message with a link that connects to an encrypted input screen. All the recipient has to do then, is enter the respective account details (a one-time measure). Cringle can therefore be considered barrier-free as it can even be used with individuals who have not installed the app. All these factors constitute a competitive advantage for Cringle that competitors could only achieve or imitate with great difficulty. We partnered up with the Deutsche Kreditbank AG (DKB) for our product launch. As DKB is a pioneer, has a lighthouse effect on other banking partners and has allowed us to fall back on the know-how of Germany's foremost direct bank, we decided to forego a licensing fee for the moment. We will launch a further partnership with another renowned direct bank this year - this bank, however, will have to pay the monthly membership fee. As a Technische Universität Berlin (Berlin Technical University) spin-off, we are in close contact with the research departments and the Centre for Entrepreneurship at the university. Thanks to our ties with the university, we receive not only support in terms of a research network but also enjoy direct access to one of our major target groups. At the end of 2013, Microsoft chose us from among 360 European applicants to participate in the first class of the then newly launched Accelerator Program. As alumni of the Microsoft Accelerator, we have access to the most modern technical infrastructure and the opportunity to address our business concerns to a large network of mentors that is made up of experts from various business areas and sectors. Our main target group is the "young professionals". They have access to large professional and private networks, like to travel in Europe's major cities and consider their smartphones a central medium to manage their daily lives. This is also evidenced by the dissemination of the transaction volume of Cringle transactions. A regular exchange between friends and colleagues is a major component of the daily lives of young professionals. They have a high level of education and are just launching their careers. This means that, while they are financially independent, they still like to keep an eye on expenses. Cringle primarily benefits from recommendations made by friends. Therefore, active Cringle marketing focuses primarily on acquisition of loyal users within the "young professionals" target group, who are willing to share their positive Cringle experiences with their friends and family. The market entry in Germany will tap a potential target group of more than 11 million young professionals. Then, we intend to break into the Austrian market that comprises 1.2 million target group users. And finally, our plan is to exploit further attractive markets in Europe. 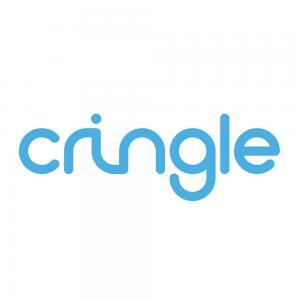 Cringle is monetized through active users that have a checking account with one of the partner banks. An analysis of the SEPA area showed that there are potentially 500 million users that could be connected to the Cringle system thanks to SEPA. Among the relevant group of users aged 18 to 50, 200 million checking accounts are held with potential partner banks. If we can prove to banks that many of their customers are already signed up for Cringle, we will have a much stronger bargaining position. Therefore, if we achieve this level, we will primarily use the capital for online marketing measures. In addition to our advertising measures in social networks, we will develop a specialized sales and marketing team to support the founders in the acquisition of partner banks. In addition to the aforementioned measures, we will further increase our marketing and sales activities. This step will help us accelerate EU expansion. A growing number of users goes hand in hand with a more complex technical infrastructure. In order to continuously ensure a smooth user experience, we will add three additional employees to the development team. The new developers will be responsible for the backend, payment infrastructure, as well as Android and iOS app development. André is one of the most well-known and renowned Fintech experts in Germany. He is not only the managing director of figo.io, the first "banking service provider" in Europe, but also the editor of the Fintech blog www.paymentandbanking.com and the initiator of the industry prize "fintech-of-the-year.com". André already has an influential track record in the finance sector. He used to be the CEO at NumberFour, the managing director at Giropay, an online payment system of the Sparkassen and Volksbanken, and in management at Star Finanz. He will advise us as an experienced financial expert and provide us with access to his network. Clemens is not only the former managing director of the publishing house "Der Tagesspiegel" but also made a name for himself in the start-up scene as the managing director of studiVZ, Germany's largest social network. After his successful time in a young business, Clemens switched sides and became a partner at MCB Salt GmbH and Redstone Digital GmbH, two well-known Venture Capital investment companies in Berlin, that were both launched by former studiVZ founder Michael Brehm. Clemens has now returned to the start-up scene and is currently the founder and managing director of Eating with the Chefs GmbH. Thanks to his knowledge of the start-up sector, Clemens will support us in identifying and optimizing relevant measures and processes. With his experience, he will help us identify and circumvent potential obstacles as early as possible. Professor Zarnekow holds the chair for information and communications management at the Technische Universität Berlin. His research focus is on digital business models, IT management and cloud computing. Professor Zarnekow is an experienced Business Angel who has invested in start-ups from various sectors and at various degrees of maturity. He actively shares his knowledge of start-ups, digital business processes and company development with us. Developing an app for various operating systems and smartphones is an enormous challenge. We would therefore be very grateful for any information on faulty displays or possible bugs. In order to fix these issues as quickly as possible, we require information on the operating system, the installed version of the operating system, the installed Cringle app and your device. We are always on the lookout for strategic partnerships in order to further increase awareness for Cringle. Activating your network often has more potential than you could imagine. As we want to integrate Cringle as a lifestyle product in our users' daily lives, we are very active on Facebook, Twitter and Instagram. We appreciate every like, every shared post and every positive comment. And helping us spread the word about our crowdfunding campaign is naturally also more than welcome.